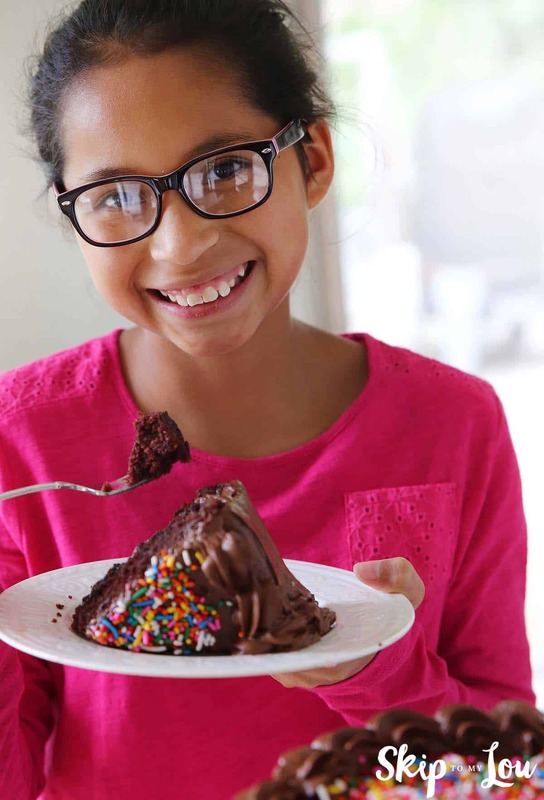 Cooking is an exciting and practical way to expose kids to STEM. STEM refers to Science, Technology, Engineering and Math and is a term used often when discussing education or careers. 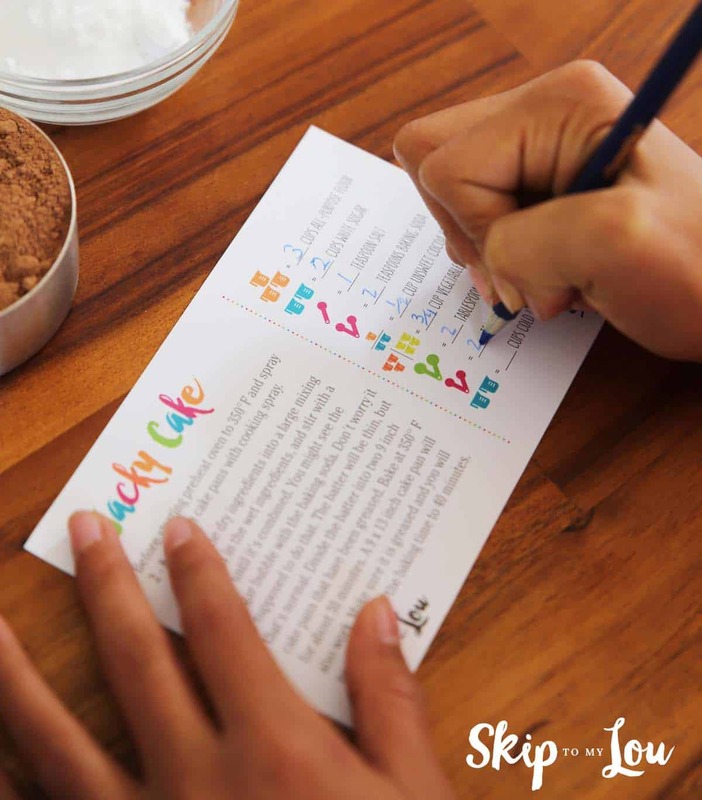 Children won’t even know they are learning when baking up some fun with this Wacky Cake Recipe and printable recipe card with fun math skills! In order to successfully bake, it is important to be able to work with fractions as recipes require the ability to work with measurement. The kitchen doubles as a lab where kids can learn weights, measures, and addition as well as watch chemical reactions happen in real time. 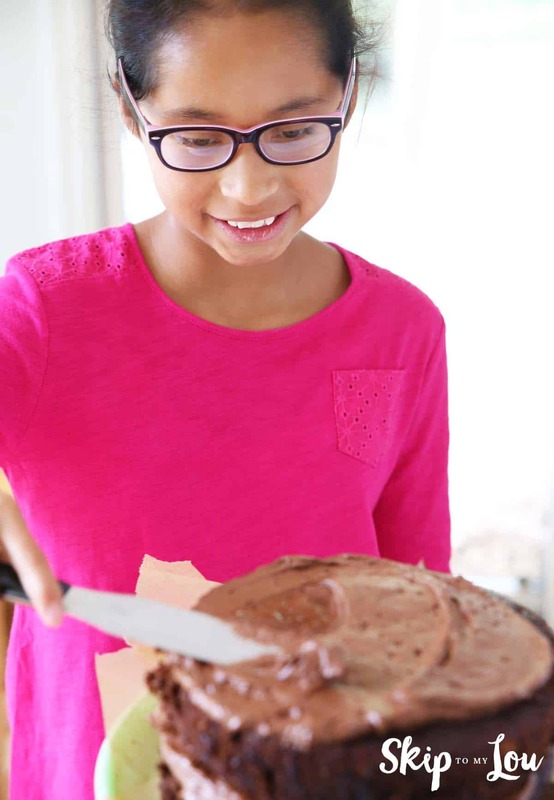 Much like baking, Sylvan Learning’s Edge Program offers fun, hands-on activities which can provide your kids with the STEM skills they need. The earlier we expose our kids to STEM education, the better we can set our children up for success in advanced classes and in fast-growing, high-paying careers. Sylvan Learning’s Edge Program offers ways for children to explore science, robotics, engineering, coding, and math. 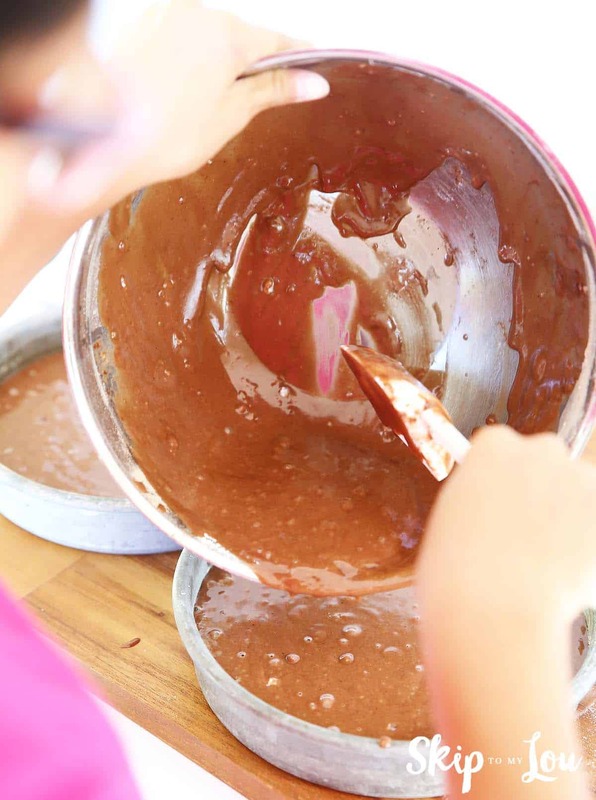 Check out this fun recipe to start exposing your kids to a fun math activity! Have children fill in the amounts for each ingredient using the pictures as a reference. They will be practicing fractions and addition while writing down the measurements for each ingredient. 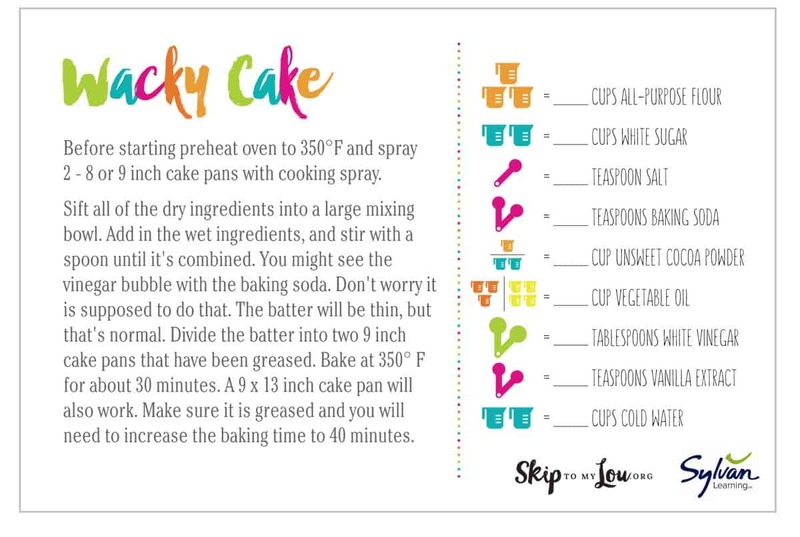 You can download the wacky cake recipe card and print it for your use. 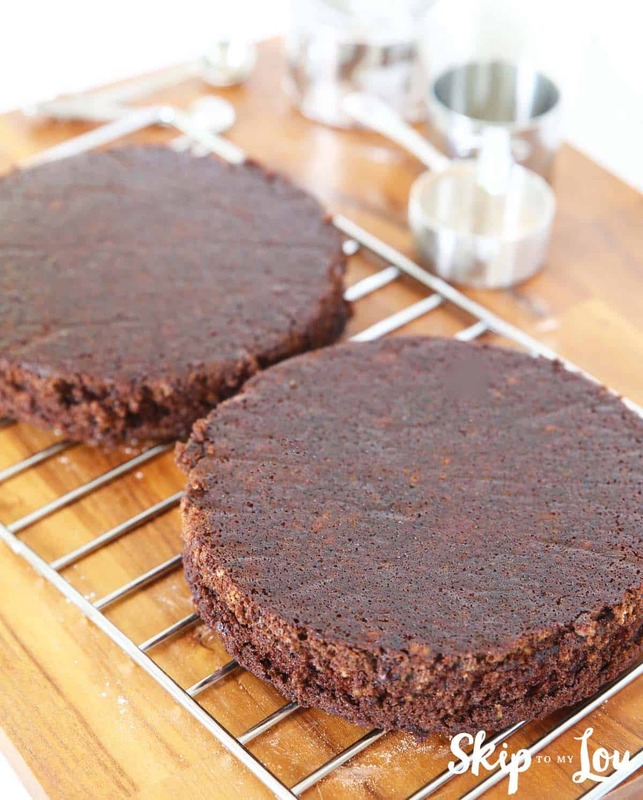 Wacky Cake or sometimes called Crazy Cake is a recipe that became popular during the depression when expensive ingredients like eggs and milk were scarce. 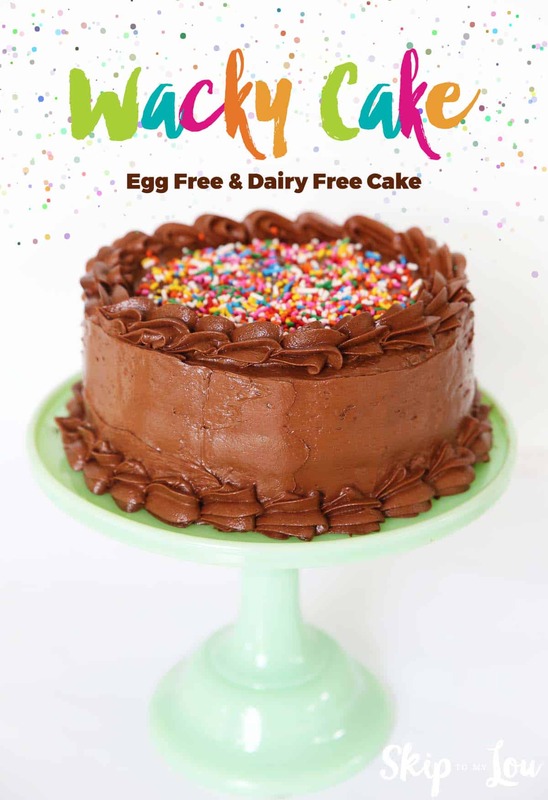 This cake is perfect for those with dairy and egg allergies. Use gluten free flour to make it gluten free and even more allergy friendly. Begin by gathering all the wacky cake ingredients. Measure flour and all dry ingredients. Spoon flour into measuring cups instead of scooping. 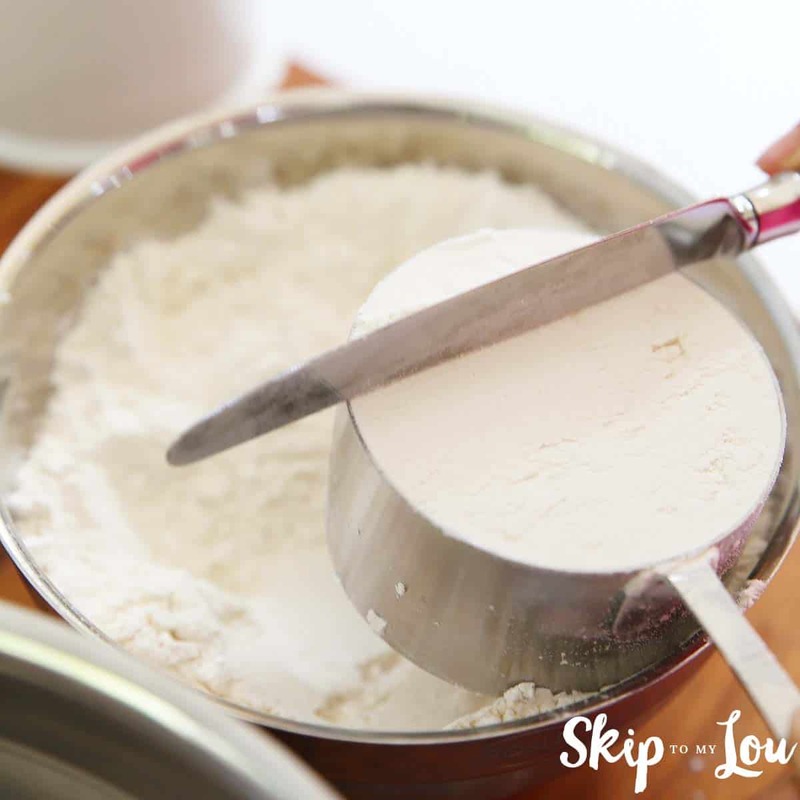 Scooping flour will pack the flour in the measuring cup and give more flour than needed. Use a knife to draw across the measuring cup to make a level measure. Sift all dry ingredients into a large bowl. 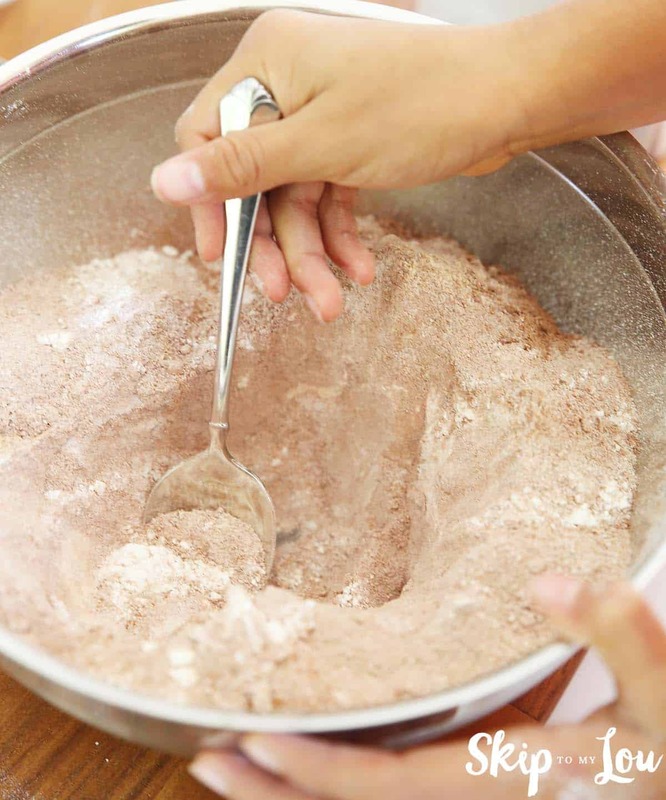 Sifting will remove any large clumps and will help mix ingredients together. Stir the ingredients together. Notice that the vinegar and baking soda will bubble. A chemical reaction has occurred! 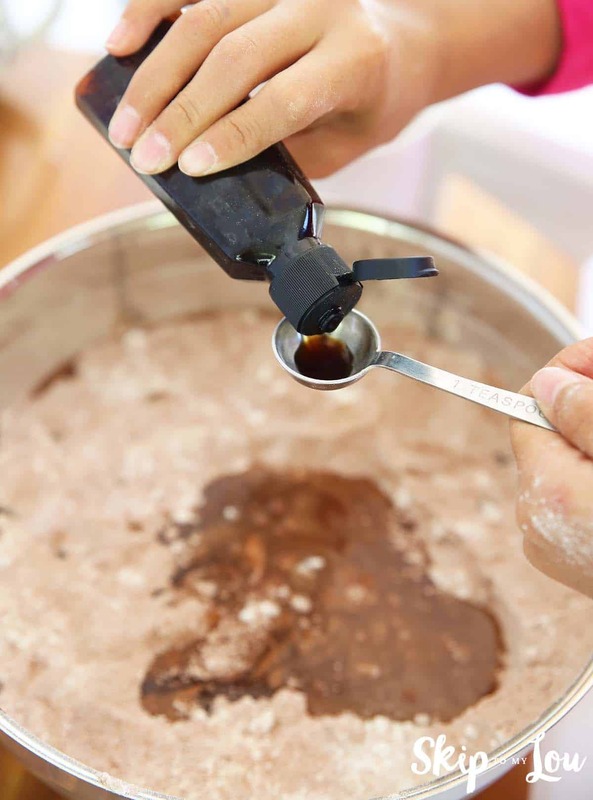 Combining the vinegar (an acid) with the baking soda (a base) results in an entirely new substance called carbon dioxide. This will help our wacky cake rise. It is also acting as a substitute for our eggs. Batter will be thin. Divide the batter in half and put into two 8 or 9 inch cake greased cake pans. Pans can be lined by cutting a circle from parchment paper. Oil the pan and the parchment paper. Bake the cakes for about 30 minutes in a 350 degree oven. Stick a toothpick in the middle of the cake to see if it is done. If the toothpick comes out clean it is done. This cake can also be made in a 9 X 13 rectangle cake pan. The cake will need to bake longer. Start checking for doneness at 40 minutes. Experimenting with cake sizes and baking times is another fun way to add math into the mix! Once cake is completely cooled it is time for frosting! This frosting uses butter so is not dairy free. Substitute butter flavor shortening and dairy free chocolate chips or use this recipe. Sift together dry ingredients. 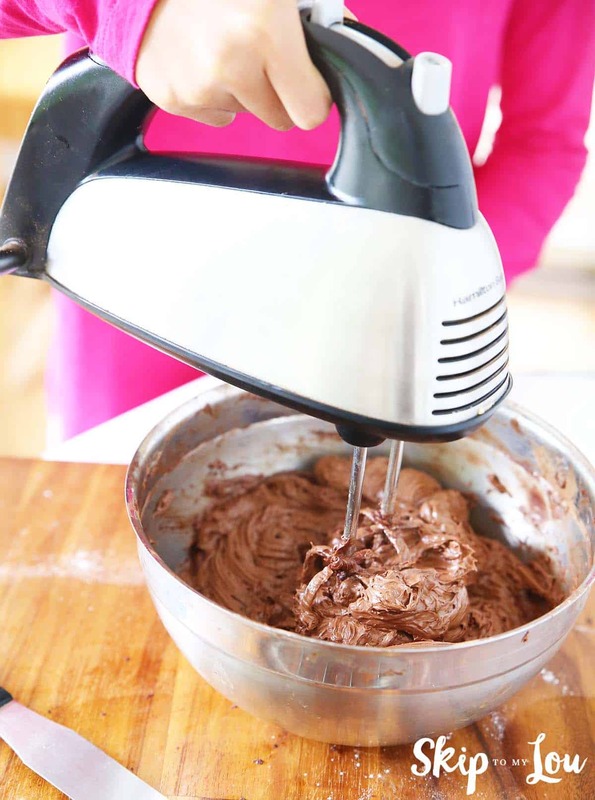 Mix together until creamy with an electric mixer. 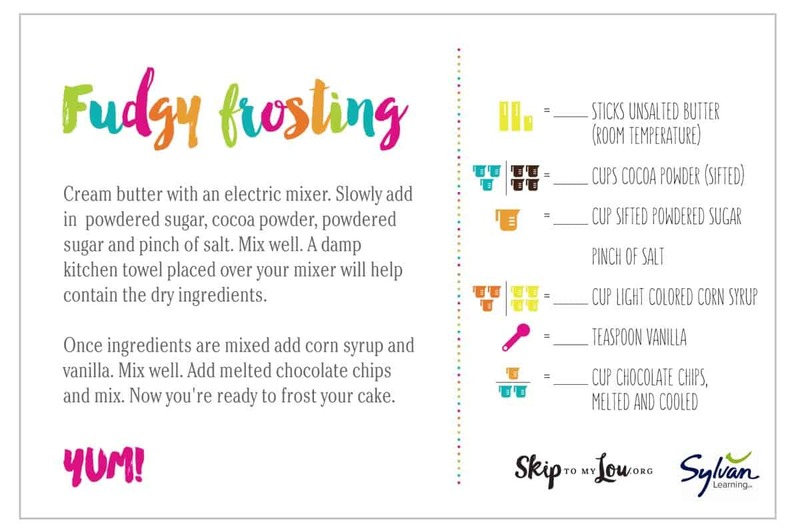 Print and fill out the recipe card using pictures. Measure ingredients into a large bowl. 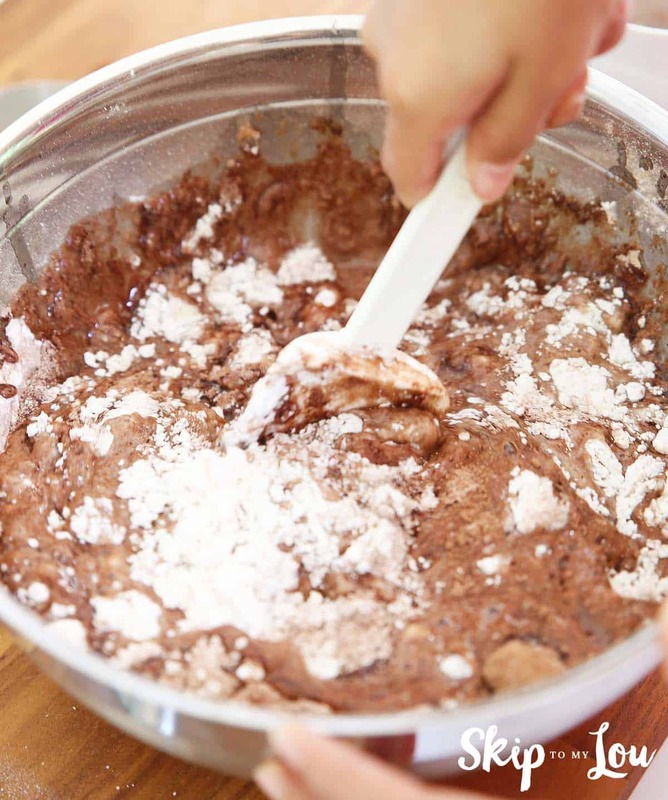 Mix frosting ingredients for a couple of minutes until frosting is light and fluffy. 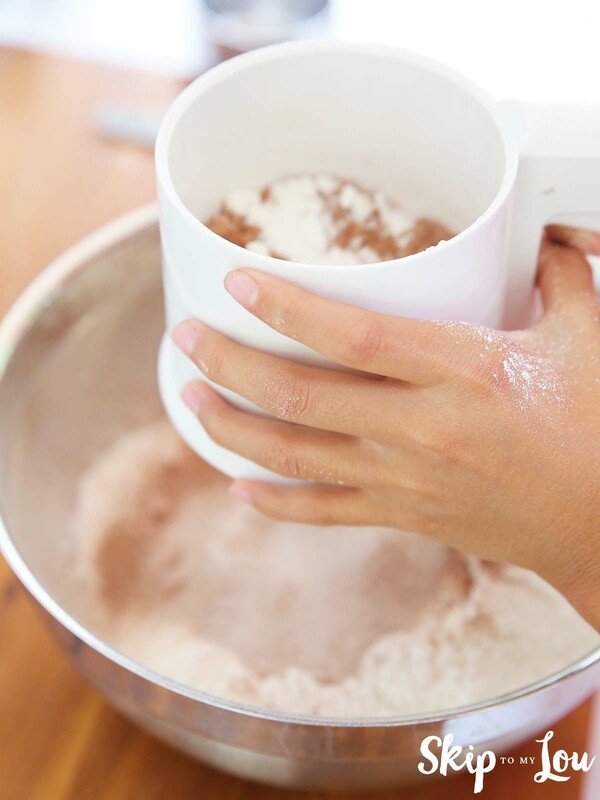 Change consistency by adding powdered sugar to make a stiffer frosting and water or milk to make a thinner frosting. Place frosting on one of the cake layers. Place a layer on top. Frost the cake. 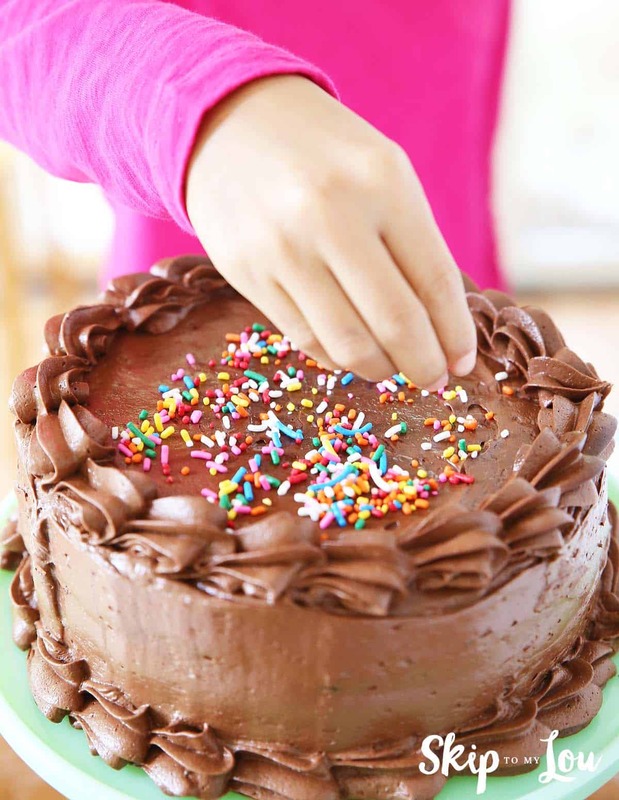 Strips of wax or parchment paper placed under the edge of the bottom layer of cake will keep the cake stand clean while frosting. 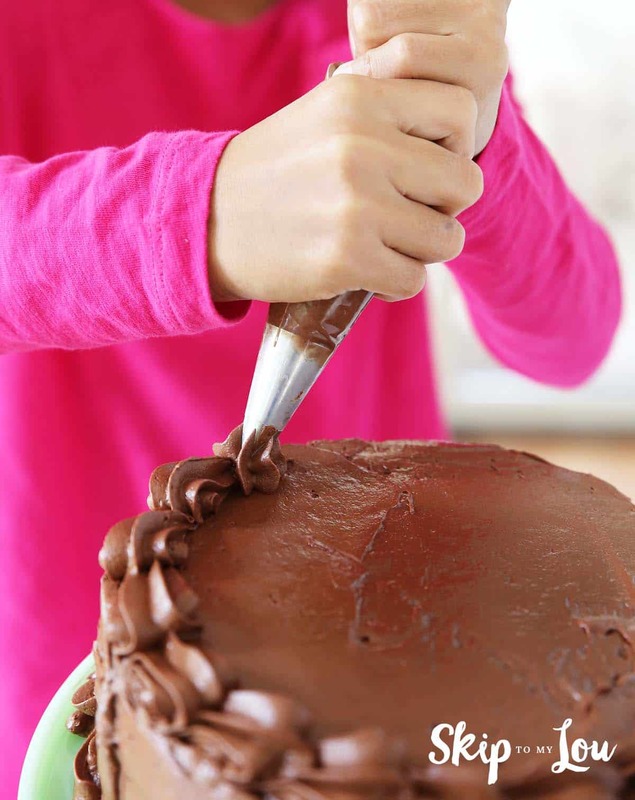 Cake can easily be frosted with a knife. At our home we love to make it fancy with a pastry tip. Fill about 1 1/2 cups frosting into a pastry bag fitted with a 1M tip. 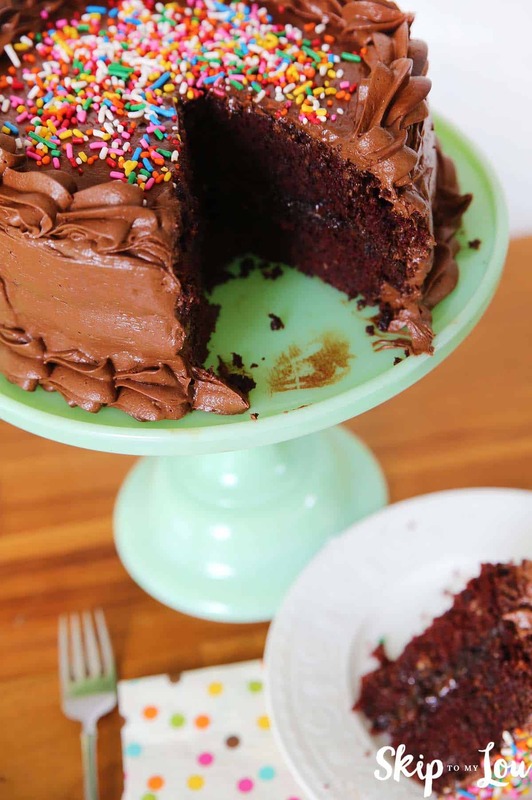 This is a moist delicious cake with a fudgy frosting. The best part though is that your child practiced math and science skills the whole time with tasty results! This is a sponsored post. All opinions and ideas are my own. I love being able to share things that I hope add value to your life! Learn more about Sylvan Learning’s Edge Program by visiting their website. 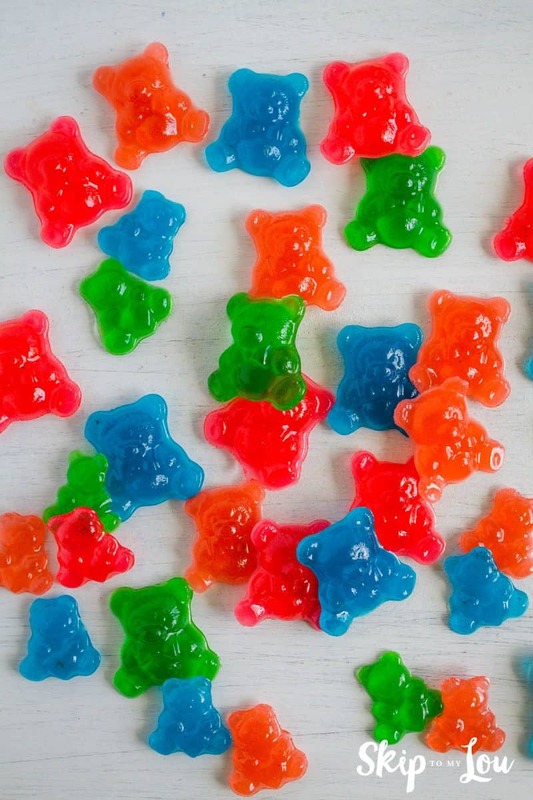 Your kids will also love making their own homemade gummy bears! It is a fun afternoon project!